Dyson DC17 Compatible HEPA Post-Motor Filter & Pre-Filter. 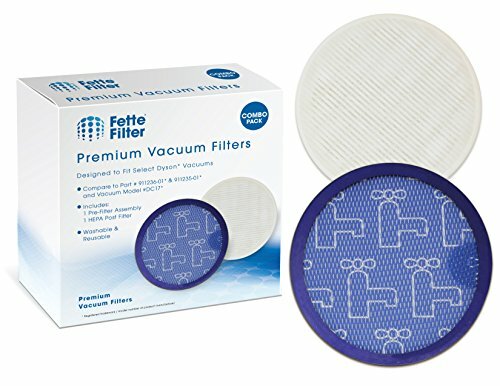 Contains 1 Post HEPA Filter & 1 & Pre-Filter Assembly. Dyson DC17 Absolute Animal vacuum. Dyson DC17 Absolute All Floors vacuum. Dyson DC17 Absolute Total Clean vacuum. Dyson DC17 Asthma Allergy vacuum. Replaces Part # 911236-01 & # 911235-01.